Andrea Duffin Conway, artist director of South Jersey Ballet Theatre, remembers when one of her students was 3 years old, peeking through an open door of a ballet class. More than a decade later, that young ballerina, Alyssa Sawka, a freshman at Eastern Regional High School, is playing Clara for the second year in SJBT’s 26th annual production of “The Nutcracker,” which is running from Dec. 15 to 17 at Voorhees Middle School. Alyssa, like dozens of other dancers, is a testimony to the lineage of students who have pirouetted through the school’s studios for nearly three decades. This is especially evident in its yuletide tradition of Pyotr Ilyich Tchaikovsky’s classic production. The 80-member production features dancers from across the region — many of whom have been in the Christmas show for most of their lives. Although the story and movement of the ballet go unwavered, the young women approach the annual show with new perspectives as they tackle new parts. “It’s really cool to look up to the older parts when you’re really little and then be those parts,” said Alyssa, who is marking her 10th “Nutcracker” with SJBT. Her inaugural role was as a mouse at the age of 5. Another freshman from Eastern, Karishma Peaks, has clinched her first title role as the Spanish lead. She is working on translating her skills from the corps de ballet — or chorus — to center stage. “It’s hard, because, now, all eyes are going to be on you, and you have to figure out how to have a lot of good technique, because you’re not hiding with everyone else in the (chorus),” Karishma said. On an artistic level, new aspects were also recently implemented. “The Nutcracker” choreography was predominantly consistent for the first 24 years. But as Conway, who has performed with a plethora of companies, including Berkshire Ballet, Boston Ballet Company, Pennsylvania Ballet and Washington Ballet Company, found more spare time since the maturation of her children, she unearthed a newfound vision for the show. Two years ago, she changed 80 percent of the original choreography while still maintaining classical ballet styles. Conway tweaked all of the divertimenti — cheerful dances featuring a small ensemble — in the second half of the show, including the Spanish, Arabian, Chinese, Marzipan, candy cane and Waltz of the Flowers scenes. “It’s fun when you can choreograph it on them. I think they feel it’s more their dance instead of ‘Hey, this is what we’ve been doing for 20 years,’” Conway said. 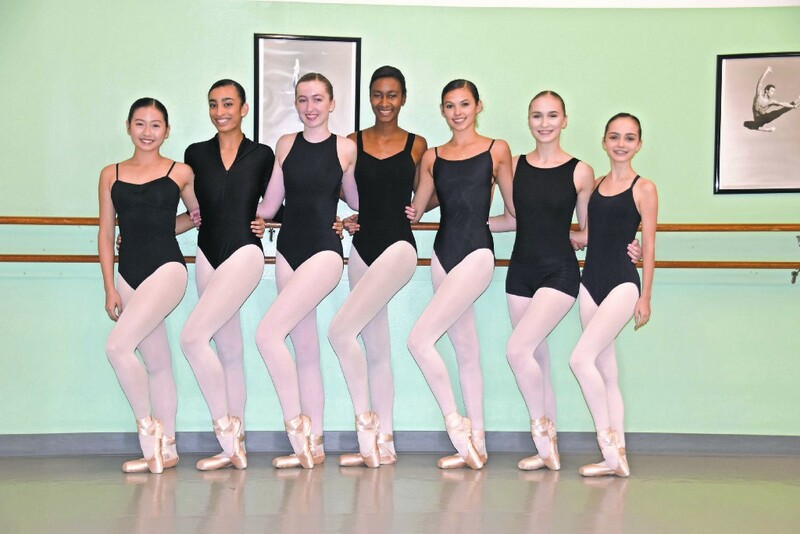 This year’s production will also feature young men from the Metropolitan Ballet Academy and Company in Jenkintown, Pa. Aside from networking with new dancers, the male implementation allows the young girls to experiment with partnering choreography. Like most of the cast, Alyssa and Karishma’s friendship spills past the walls of the studio. Spending lengthy amounts of time together during weeks, or even years, of “Nutcracker” rehearsals strengthens their ties as people and performers. “You get to bond with your friends, and it shows on stage,” Karishma said.